On April 20, 2018, Consul General Hong Lei met with Vice President Jim Baker of Missouri State University. Deputy Consul General Liu Jun, China Operations Specialist of the Missouri State University Dandan Liu attended the meeting. Consul General Hong Lei said that Missouri State University is a prestigious university in the Midwest and has always attached great importance to expanding educational cooperation with China. The university has made tremendous efforts to explore and innovate ways to serve the Chinese students, achieving desirable results and creating good environment for the Chinese students to study safely and successfully in the US. Consul General Hong Lei hopes that the Missouri State University can keep expanding pragmatic cooperation with Chinese counterparts, further contributing to the education and people-to-people exchanges between our two sides. 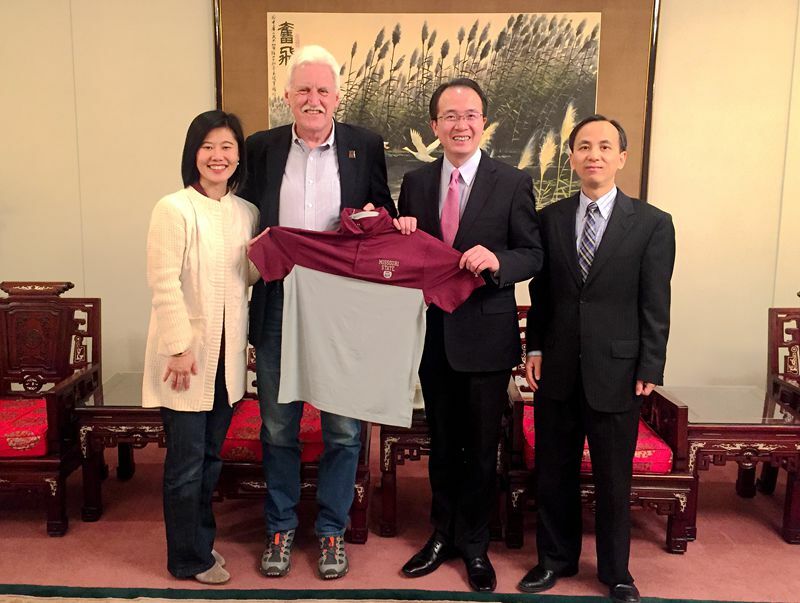 Vice President Baker thanked the Consulate General for the long-lasting support to the cooperation between Missouri State University and China. Missouri State University values its cooperation with China and will keep uplifting exchanges between the two sides to a new level. The University is willing to keep in close contact with the Consulate General, continue to expand educational cooperation with China and better serve the Chinese students on the campus.